One of the first things homeowners is looking when upgrading a home is beautiful custom wood flooring, and there is a good reason behind it. Hardwood floors provide a sense of warmth, beauty, and appeal which lasts for a long time and can fit into almost any interior design aesthetic. Nothing exudes luxury, craftsmanship, and design quite like specialty custom wood flooring installation. Other added benefits of this flooring make it an important consideration for your next home upgrade. 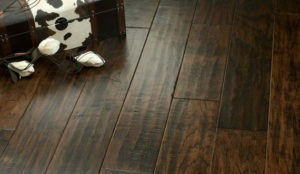 Solid wood flooring instantly increases the value of your home and helps sell it much faster. Homebuyers are not only attracted to the look and feel of custom wood flooring in Kennesaw when they view a home, but they also know it is an investment worth preserving rather than replacing. Kennesaw’s custom hardwood flooring installation comes with durability that is enough to last for many decades. Combined with new technologies, floor installers in Kennesaw are eager to offer this beautiful product for customers who want a long-lasting investment that will maintain quality over time. Other flooring options such as carpet and laminate are not as long lasting and customers may desire to change a style or color at some point down the road, which can be costly. Hardwood floors, by contrast, are timeless and classic which can also hold value for resale. things a lot easier on both allergy sufferers and pet owners. They also offer that extra little bonus to the health of our planet. There is a wide variety of styles, shades, and types of wood to select. 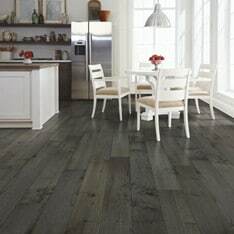 Whether a homeowner or designer is looking to lay custom hardwood flooring in the kitchen for a practical, smooth appeal or line the family room with a row of color and texture contrast, there is really something for every taste and function. The exact look and fit for a particular homeowner’s style and personality are a matter of looking through the many options, styles, and colors to find a unique solution to suit your home. This is what custom hardwood flooring offers! 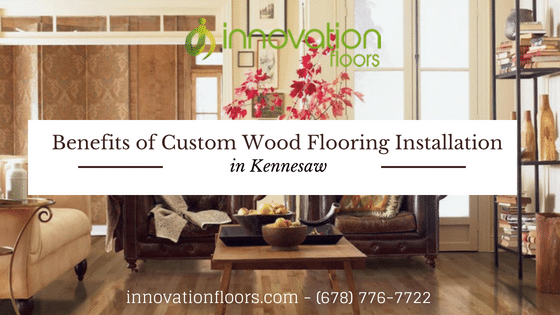 Are you interested in installing custom wood flooring in Kennesaw? Contact us now at Innovation Floors. We are more than happy to invite you to our showroom, so you will have a look-see at our hardwood flooring. Give us a call to receive a free design estimate!